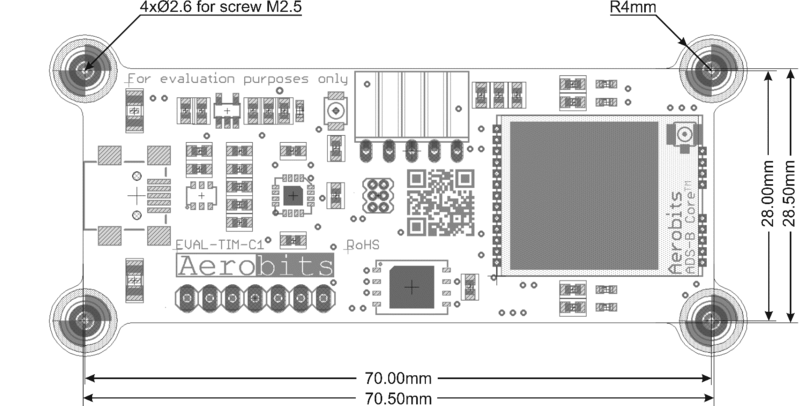 Aerobits is a specialised developer of miniature avionics technologies for unmanned aerial vehicles (UAVs) and drones. Our hardware and software solutions facilitate the integration of unmanned aerial systems (UAS) into civilian airspace, following the guidelines laid down by aviation authorities throughout the world. Our technology is currently the world’s smallest and fastest implementation of the ADS-B (Automatic Dependent Surveillance – Broadcast) air traffic monitoring system, providing powerful parallel computational capacity in an ultra-miniature package. 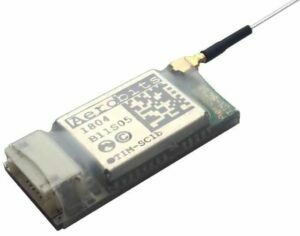 The TID-AERO is the world’s smallest and lightest Plug&Play ADS-B receiver and has been developed for civil and commercial UAS/UAVs. The Aero module operates on 1090MHz, tracking nearby manned air traffic (equipped with ADS-B technology) in real-time. Simply plug&play with MAVLink devices for easy integration. 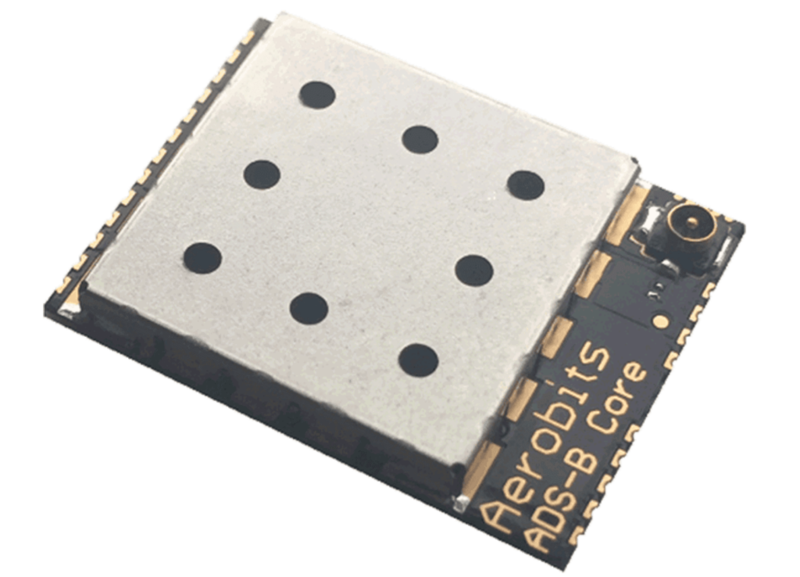 The module weighs just 2.8g (with antenna) and has a low power consumption, making it ideal for SWaP constrained UAVs. The unit costs just €159. The TIM-MC1 is a high-performance OEM ADS-B receiver designed for use in UAV ground stations. With improved frame processing rate and the addition of Mode-A/C/S, precision timestamping, extra I/O interfaces and the ability to generate digital ADS-B OUT signals, the TIM-MC1 is the most technologically advanced micro-ADS-B solution on the market. FPGA-In-The-Loop technology, combined with a high-resolution ADC providing adaptive real-time signal processing, results in a powerful aircraft tracking solution capable of receiving thousands of frames per second. RF power measurement for each frame allows distance estimation for Mode-A/C/S operation, and precision timestamping provides multilateration capability. Weighing just 2 grams and with a surface area of 4 cm2, the TIM-MC1 is an ideal solution for a range of unmanned aircraft applications, including SAA/DAA (Sense and Avoid / Detect and Avoid), surveillance, traffic analysis, and unmanned traffic management (UTM) systems. 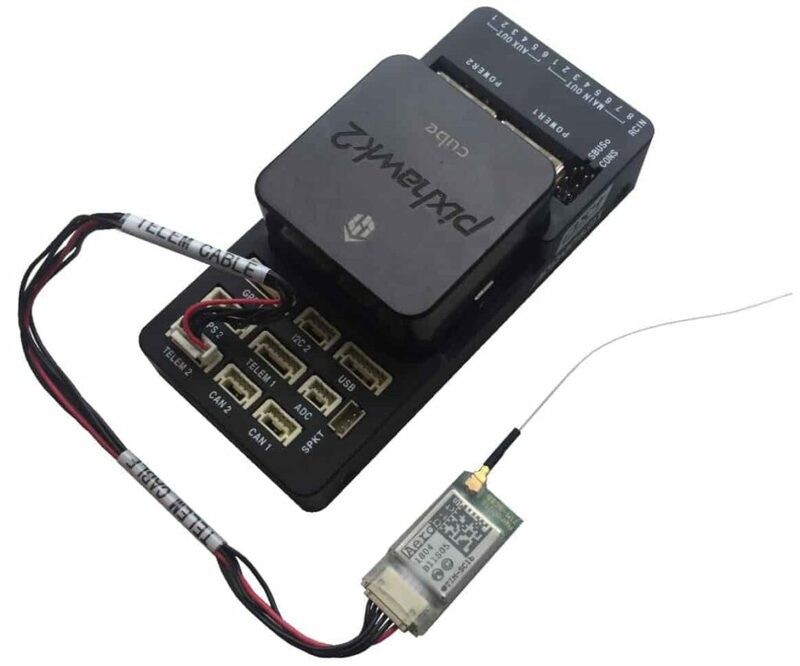 The TIM-SC1 is a low-cost OEM receiver designed for UAV detect-and-avoid (DAA) applications. With ADS-B capabilities, it has the ability to track up to 100 aircraft. A high sensitivity front-end provides jamming and ESD protection with ranges of over 120 miles. The TIM-SC1 weighs 1.5g and has a surface area of 2 cm2, making it ideal for SWaP-conscious unmanned aircraft. The TIM-C1 is an OEM high-performance ADS-B receiver built around a combination of a multi-core processor and a powerful FPGA for high-speed data processing and aircraft tracking. Capable of receiving thousands of frames per second, the system utilises a high-resolution ADC with real-time signal processing based on a state-of-the-art adaptive algorithm. RF power measurement for each frame allows distance estimation for Mode-S operation, and a GNSS input can be connected for dynamic calculations of relative distances to the aircraft. A high-sensitivity front-end provides jamming and ESD protection with a range of over 200 miles. System integration of the module is straightforward, and communication can be achieved with a variety of simple AT commands sent over a high-speed UART. Designed to meet the requirements of TSO-C199, the TIM-C1 is a highly scalable, flexible OEM solution that weighs just 2 grams making it ideal for a wide variety of UAV and drone applications, including Sense and Avoid / collision avoidance, UAS ground stations, mobile air traffic information, and high-density traffic surveillance and analysis. 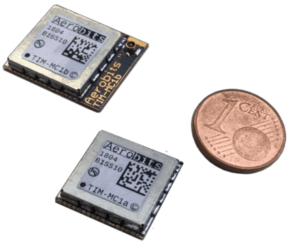 The EVAL-TIM-C1 is an evaluation kit allowing developers to quickly get up and running with the TIM-C1 ADS-B receiver module. The development board features a variety of additional features to allow convenient testing and evaluation of new TIM-C1 applications. The board is powered either by USB or an external 3.3V source. 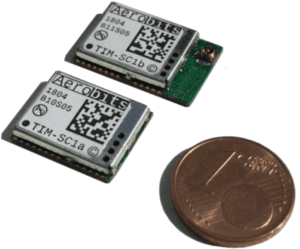 Extension I/O headers allow a GNSS source and other communications devices to be interfaced with the TIM-C1 module. 256Mb of flash memory allows off-line data analysis. The starter kit includes a wideband antenna (0-1dBi) and a 10.5cm U.fl / SMA adapter. The included demonstration software provides 2D and 3D aircraft position visualisation and mapping. By submitting this form, you consent for your details to be sent to Aerobits and its authorized partners in order to respond to your inquiry. Depending on the location of the organization, your personal information may be transferred and processed outside of the European Economic Area.